The map is intended for viewing the main package of Tricolor TV "SINGLE MULTI"
The package is available to subscribers whose reception equipment is registered. 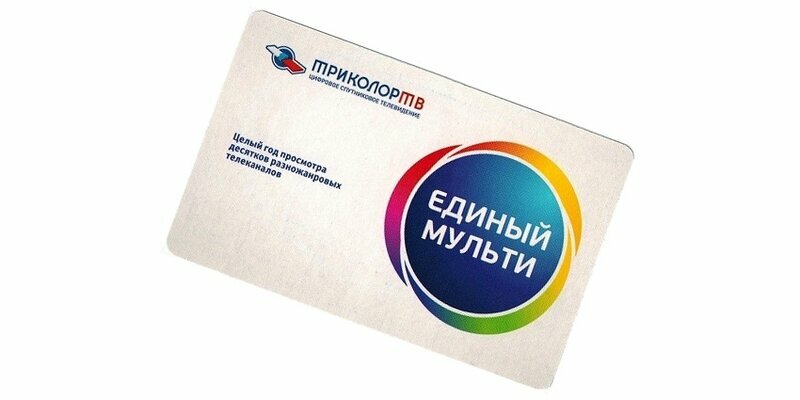 Suitable for all regions of Russia! The package includes over 200 TV channels, also more than 40 in Full HD format. After payment you will receive a "secret code". Important! Card activation is possible only on the registered receiver! The term of viewing the main package is 1 year from the moment of card activation. Send SMS to number 1082: TK number_ (ID) of __ receiver secret_code_card. If you have any problems with the activation of the card, contact the technical support operator Tricolor TV, in the letter, specify the number of your ID of the receiver "Tricolor TV" and a description of the problem. Term card activation: October 31, 2019. P.S. After purchase, please do not forget to leave your feedback.